Royal Kingdom Art Camp: This week will be full of color and fun! Think Princesses, Knights, Fairies, dragons and all things fun and make believe…the possibilities are endless! What is included: All supplies are included. 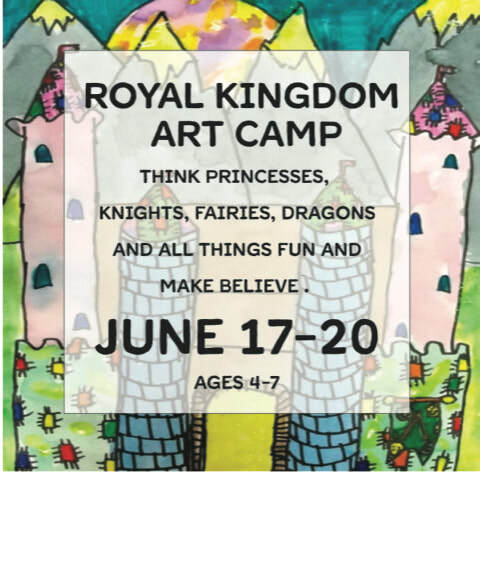 What to know: Royal Kingdom Art Camp is for ages 4-7, the dates are June 17-20 you can choose the morning class from 9am-10:30pm OR the afternoon class from 2:oo-3:30pm. Please be prompt with dropping off and picking up so we can make the most of our time with the kids. What to bring: We will have 2 breaks, so please send a snack and a water bottle with your child each day. Please remember that this will be messy, so send them in clothes and shoes that you don't mind getting paint on. Cancellation Policy: 2 week notice must be given in order to receive a credit for a class. Call or email to let us know, 830-992-3016. No refunds will be given at anytime.